Sunset in San Diego, the California city that will welcome 15,000 geospatial professionals this summer for the Esri UC. "Why don't you take a minute and turn to your side and introduce yourself to a neighbor. Tell 'em who you are." 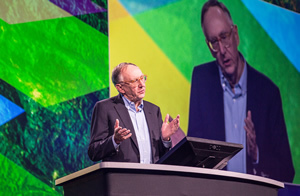 With those words, Esri president Jack Dangermond opens the Esri International User Conference (Esri UC) in San Diego, California, each summer. With that kind of camaraderie, you know this conference is special and welcoming—a place where you get a chance to immerse yourself in geospatial technology with others who have a passion for their work, get inspired by people like you who use GIS, see old friends, and meet new ones. Esri President Jack Dangermond will talk about the important work Esri software users do. Esri UC is an experience, one that unites 15,000 people in the geospatial community, showcases more than 900 real-world projects, and gives you access to hundreds of technical workshops about everything from applying best practices in cartography to creating 3D cities. The event, which will be held July 14–18, will also feature the world's largest Map Gallery. 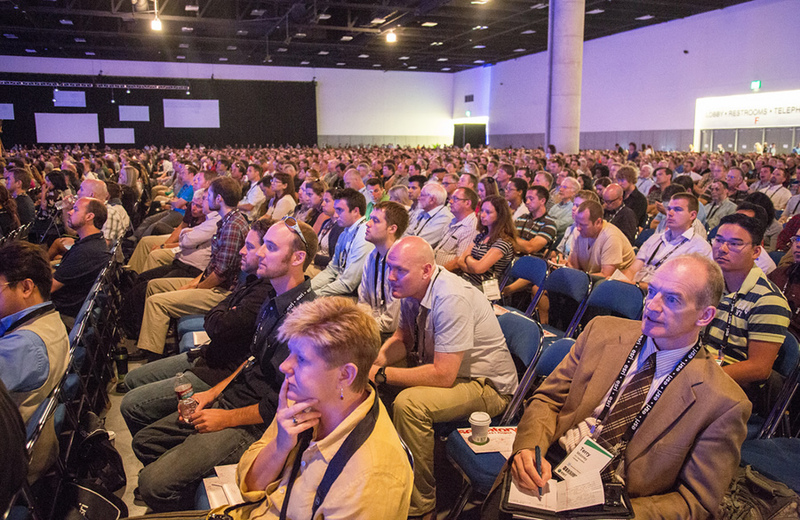 Esri UC gives you the opportunity to meet and learn from thousands of people, including technology innovators and industry trendsetters, who share a passion for GIS. "The Esri UC is the most important professional development event of the year for me," said Chris Mack from the Town of Marana, Arizona, He was the first person to register for the 2014 Esri UC. "I always come away from the conference having learned skills that make me more productive, and I gain a better understanding of the Esri technology direction. Most importantly, I come out of the Esri UC reinvigorated, with a list of new techniques and ideas I want to try out when I get back to the office." (Read an interview with Mack at the UC News and Highlights blog. 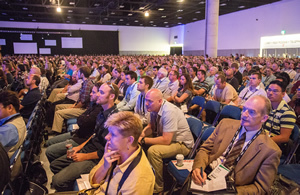 The crowd at Esri UC listens intently during the ArcGIS technology demonstrations. Though there will be much to discuss at Esri UC, some themes are starting to emerge. Here's a sampling. The ArcGIS Platform: You will learn how to use ArcGIS as a platform across your organization, where you can compile and manage geographic data, work with maps and apps, perform spatial analysis, and conduct GIS projects. You will see how to use your network or the cloud to create and share useful maps and apps with end users. You will also find the latest web and mobile apps included in ArcGIS, ready-to-use geographic content, and GIS services designed to get you started quickly. Many interesting and useful geospatial technology applications will be demonstrated at the Esri UC. Web and Mobile Apps: You will learn about mobile and web apps and the developer-focused software developer kits (SDKs) available to build them. These apps make it faster and easier for field and office staff to collaborate and get real-time information. Big Data: Data, data, everywhere can become unruly. But when big data is corralled and put to good use, it can drive better decisions for disaster relief, finance, government, natural resources, retail, utilities, and business. 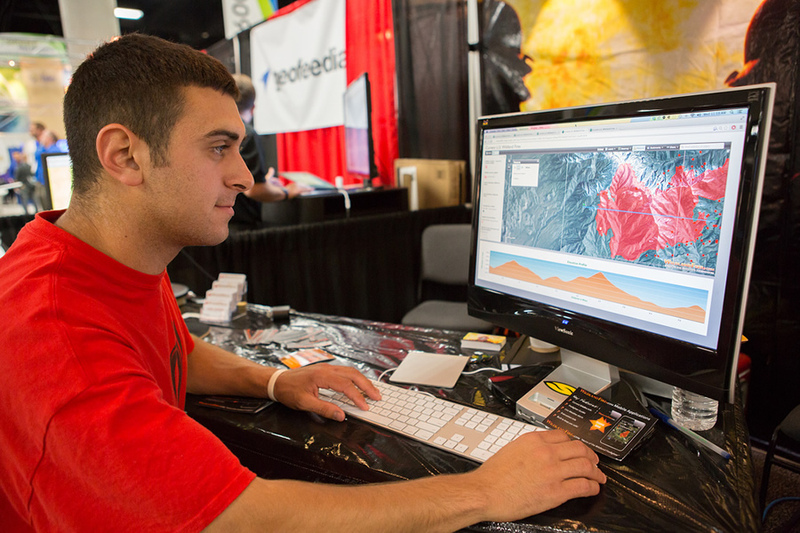 At Esri UC, you will learn GIS techniques to tame big data and put it to work. Open Data: Through a new open data initiative, Esri makes it easy for you to discover, explore, access, and share open data. You will learn how to make your data available to the public or find and improve data for your applications. The Esri UC gives you hands-on opportunities to learn how to use technology such as Collector for ArcGIS. Real-Time GIS: New technologies are combining to enable real-time collection and sharing of data. You will see how to connect with real-time data; how to get started with geofencing using the Esri Geotrigger Service; and how to deploy Operations Dashboard for ArcGIS, as well as the Collector for ArcGIS app. You can also expand into mapping social media data for insight into what people are saying and where they are saying it. Location Analytics: With location analytics solutions, you can discover new patterns and answers to any business challenge and share those insights across your organization. These solutions let you inject mapping and location into existing IT, such as Microsoft Office, Microsoft SharePoint, IBM Cognos, SAP, Salesforce.com, or MicroStrategy. Or you can design a custom solution. ArcGIS for Developers: If you are a developer, you will get the opportunity to learn about simple, configurable APIs and SDKs, as well as ready-to-use content and geospatial web services. You also will get to meet and mingle with Esri's growing developer community. Spatial Analysis: With spatial analysis services, you can analyze the data hosted in ArcGIS Online to answer questions such as, Where is the best location for a new school or retail store? or How many crimes have occurred within my city? Using ArcGIS Online, you can then share those results with others in your organization or with the public. At Esri UC, you will hear about what's new in ArcGIS Online and get some spatial analysis tips and tricks. 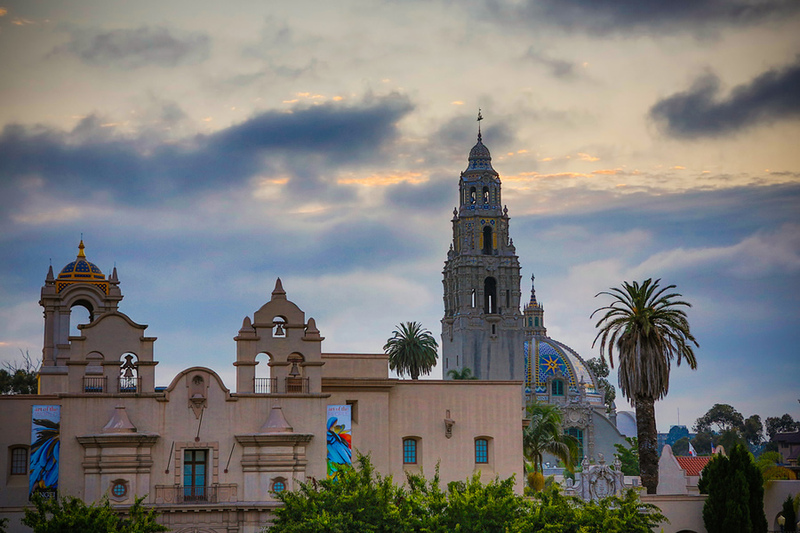 Register today for Esri UC.